Wonderworks Exhibits Company makes the past, present. For over thirty years, Wonderworks has created natural history projects for museum and science center exhibits, as well as films, television and theme parks. Under the direction of Creative Director Hall Train, and with collaborations with leading paleontologists, biomechanical engineers, curators and museum designers, Wonderworks provides what are regarded as the finest and most scientifically authentic natural history, prehistoric life models in the world. Wonderworks provides theme and storyline development, interpretive and concept design, fabrication, installation, and on-going exhibit maintenance. 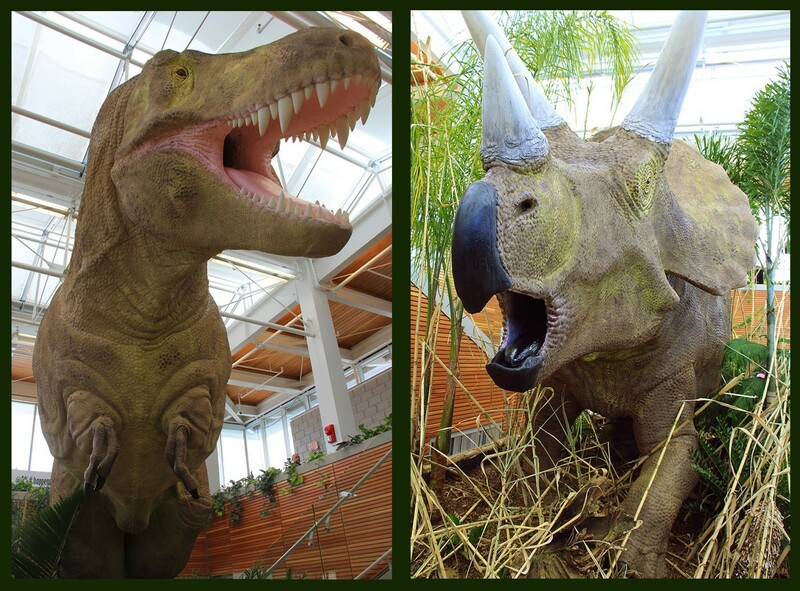 For over twenty-five years, Hall Train has been creating successful natural history projects for museum and science center exhibits, film, television, and theme parks, collaborating with leading paleontologists, biomechanical engineers, curators, and museum designers. Hall’s works are regarded as among the best and most scientifically authentic recreations in the world. Hall Train was Creative Director on this first project by Hull and Train Exhibits, in collaboration with partners Jack Hull and Alexandra Lemay. 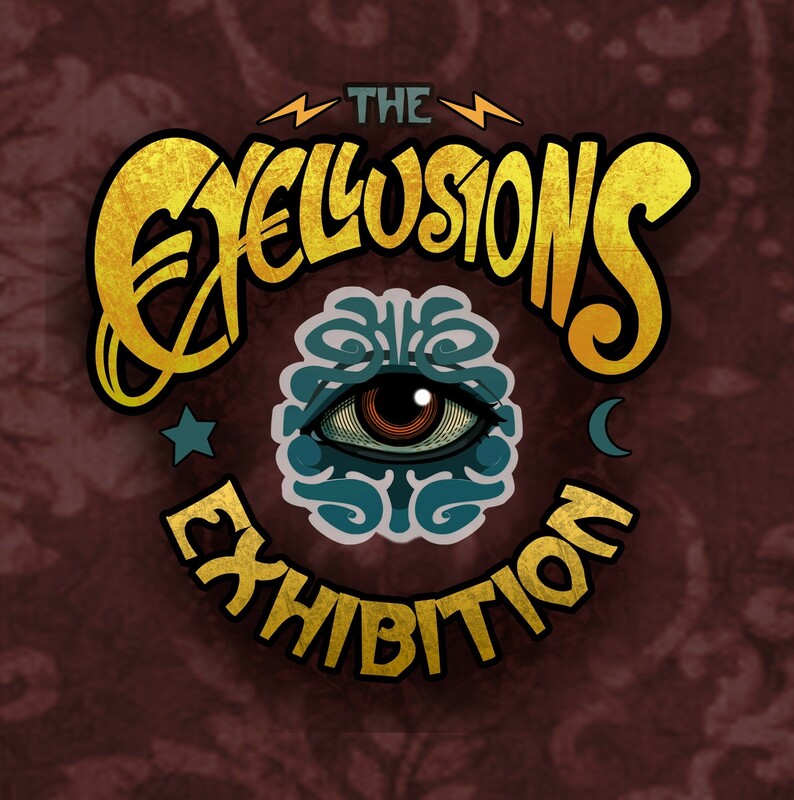 This complete, 4000sq-ft exhibit examines the science of visual illusions through charming, humorous, and accessible interactive displays. Scientific explanations are provided by renowned neuroscientist/authors Susana Martinez Conde and Stephen Macknik. Hall was Director of Special Effects, lead sculptor, and graphic artist on this 4-part mini-series about recent dinosaur digs throughout North America. Hall was Creative Director on this complete production of a 5000-sq-ft travelling exhibit that examines the ecological relationships between T. rex, Triceratops, and their environment in the Late Cretaceous. The exhibit encompasses lifesize, naturalistic animals, real fossils, a forest diorama, numerous interactive panel displays, many video stanchions with interview clips and animations, and much more. 2012 American Museum of Natural History, Spiders Alive! 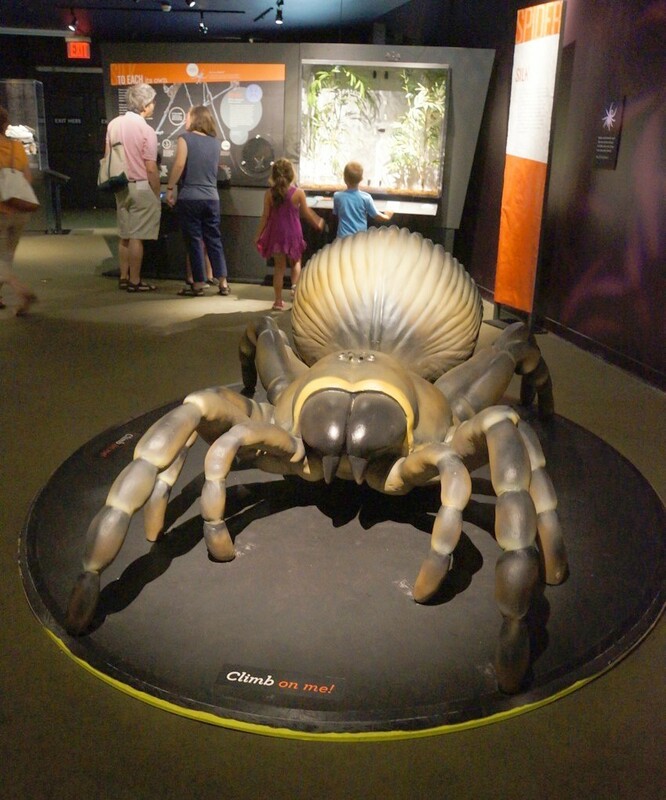 Hall’s work on this installation included a 40-foot model of an orb weaver spider – mounted on the ceiling – and a 9-ft long trapdoor spider designed for kids to climb and play on (pictured), as well as a 6xlife-size model of an orb weaver on its web. Hall directed the design and fabrication of the centerpiece of this travelling exhibit, the 60-ftlong Mamenchisaurus, which features surface anatomy on one side, and successive anatomical layers on the other, with a video projection that helps visitors contemplate the physiology of this remarkable animal as it would have been in life. 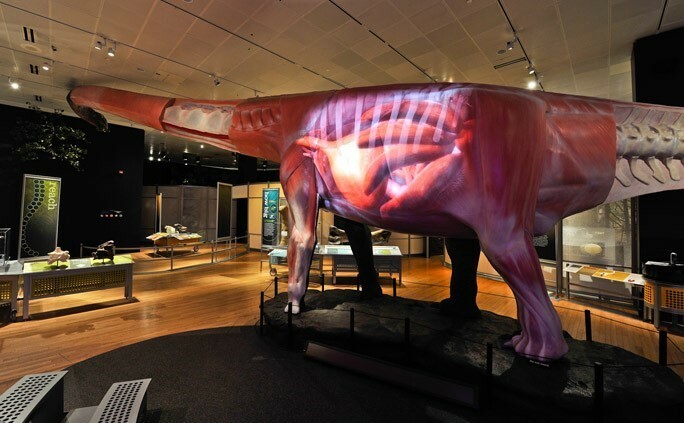 Hall’s studio also created a model of the Mamenchisaur’s heart and respiratory system, as well as the entrance mural that features a life-size model of Argentinosaurus. An exact, life-size replica of the Vostok space capsule, the first vehicle to carry a human being – astronaut Yuri Gagarin – into space. 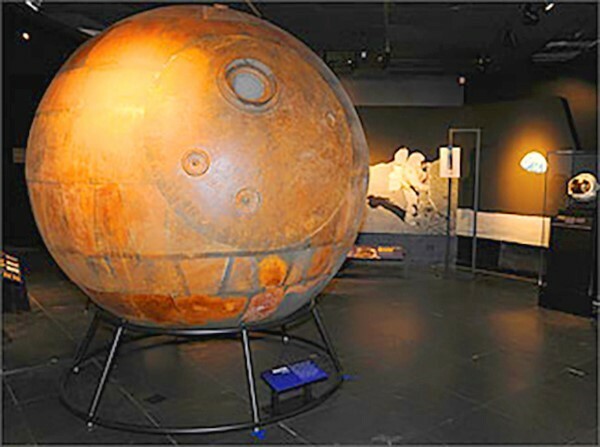 The replica was constructed from the capsule’s original blueprints. 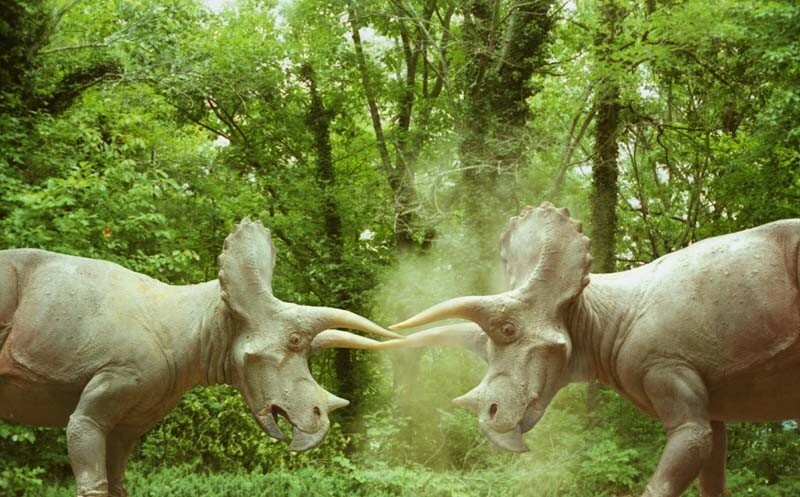 A life-size restoration of Indricotherium, at 14’ in height the largest land mammal ever to have lived. The model became the centerpiece of the AMNH’s major exhibit Extreme Mammals, which opened in New York in May 2009. Hall’s latest technological breakthroughs enabled the sculpting, scanning, casting, mounting, and finishing of the model to be accomplished in record time. 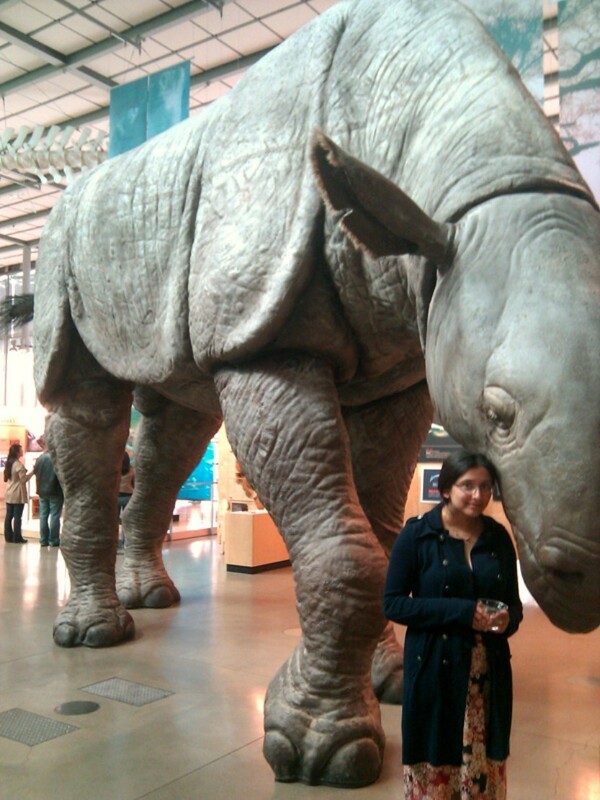 Since her opening engagement at the AMNH, the Indricotherium has embarked on a world tour of North America and beyond. Here she is pictured at the California Academy of Sciences in San Francisco. 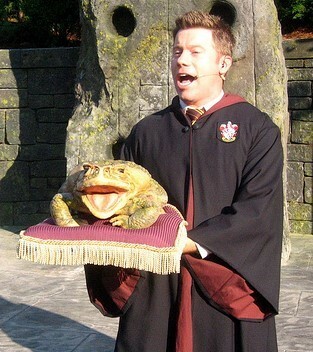 Hall Train designed, sculpted and built fully realistic singing toads, designed to be operated by singer/puppeteers in a recreation of the choir scene from The Prisoner of Azkaban at the Wizarding World of Harry Potter attraction at Universal Orlando, which opened in 2010. Hall Train collaborated with leading artists and paleontologists from the American Museum of Natural History (New York), and Brown University to produce this documentary for National Geographic Television. The original aim was to reveal the research/art collaboration behind the mechanisms that allowed Hall Train’s Walking T. Rex (AMNH 2005, see below) to perform its stunningly realistic walking actions — a ‘making-of’ approach. However, exciting ideas for new research quickly emerged during the project’s early stages, and the focus shifted to analyzing the differences between the juvenile and adult T. rex, in comparison with its modern cousin the emu, to shed new light on mysteries of T. rex’s locomotion, hunting, and eating habits and how they may have changed as the tiny, feathered hatchling grew up into a multi-ton monster. Hall Train provided ongoing production design services to Universal Studios Dubailand, a theme park concept Universal was exploring during this period. Hall collaborated on concept development and research activities for this documentary on the recent discovery in China of the Microraptor, a small 4-winged dinosaur. Hall worked with scientists at the American Museum of Natural History (New York), Brown University, and Harvard University. 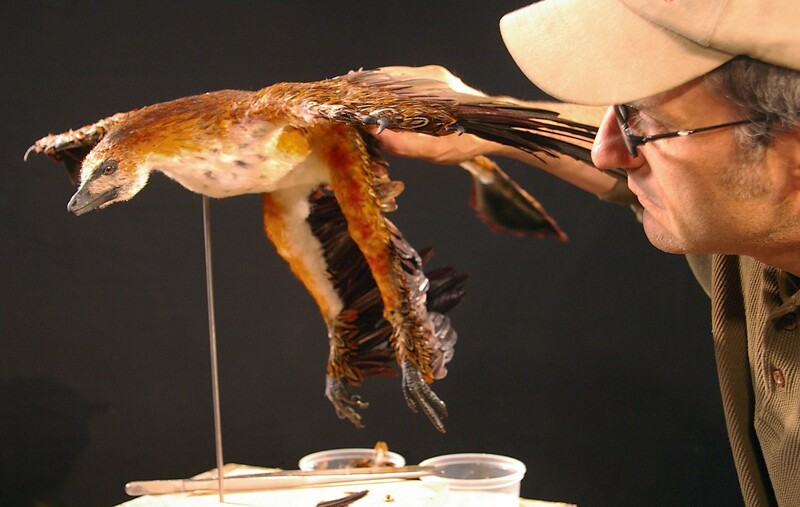 Hall directed the fabrication of a life-like, fully articulated model of Microraptor for wind tunnel studies that were conducted at the Wright Brothers Wind Tunnel at the Massachusetts Institute of Technology (MIT). Hall’s studio also created rod-controlled puppets of several feathered dinosaur species, and several minutes of animation. The project involved creating a 2,500 sq ft Carboniferous forest immersive environment, including water features, sound f/x, rolling mist, and 36-foot tall trees. Hall’s studio also designed and fabricated nine Carboniferous animals including the 4-foot-long amphibian Ichthyostega, scorpions, giant dragonflies, and a 6-foot-long Millipede. All animals have robotic motion. 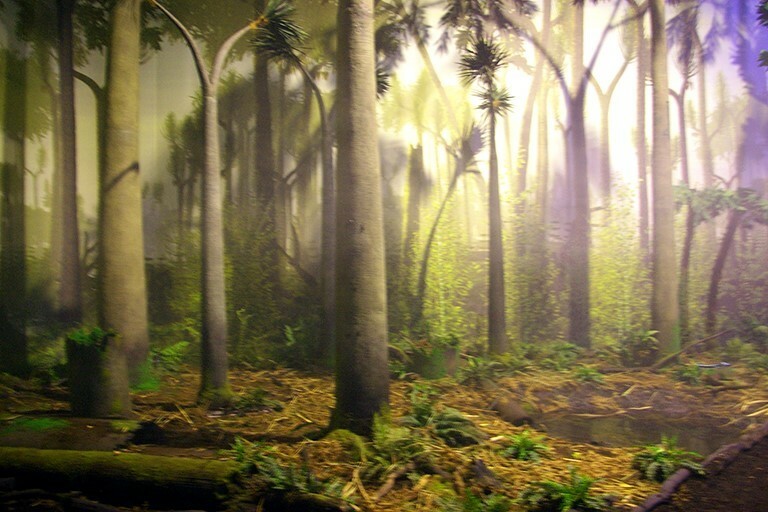 The exhibit is a recreation of a Cretaceous forest from 70 million years ago, in the region of the Museum, including all flora, as well as amphibians, fish, insects, birds, pterosaurs, mammals, sound and lighting effects, and 120-foot mural. Tertiary Environment including life restorations of three Brontotheres, a meat-eating Entelodont, and small sabertooth nimravid Dinictus, in a complete late-autumn environment. Also life restorations of Tertiary Mammal Mesodma for a K-T Boundary exhibit, the ancestral horse Eohippus, and two Troodons, (feathered dinosaurs) guarding their nest, for the Cretaceous environment. Hall was hired to conceive, write, produce, and direct a video presentation on Ice Age Mammals of California for a breathtaking exhibit, projected on a 97-foot-wide, 14-foothigh, 270-degree wraparound screen. Hall also sculpted and supervised the digital scanning, texturing and animation of seven species of Ice Age Mammals, working with Drs. Eric Scott and Kathleen Springer. Hall was hired as biomechanical designer and fabricator to participate in the creation of a successful flying pterosaur, collaborating with Drs. Margot Gerritsen, Chris Bennett, and Kevin Padian. Hall designed the membrane technology, which replicated the biomechanical properties thought to be present in pterosaur wing membranes. He also designed the robot flapping mechanism, and sculpted and fabricated the lifelike surface anatomy of the animal. Design and creation of biomechanical walking 6-foot scale model of Tyrannosaurus rex skeleton. The model recreated the biomechanical dataset resulting from a kinematic study by Dr. John Hutchinson and Dr. Steve Gatesy. Dr. Mark Norell oversaw the project. 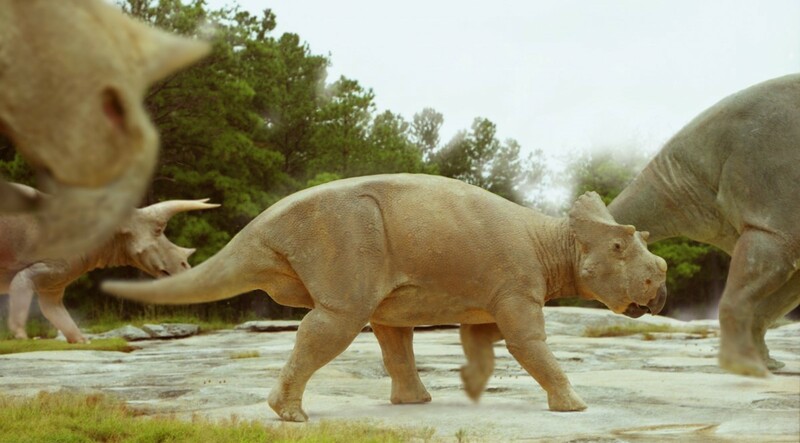 Since 2005 the model has been continually walking, touring the world as part of the AMNH’s Ancient Fossils, New Discoveries exhibition, and has recently been filmed for inclusion in the upcoming Imax dinosaur project. 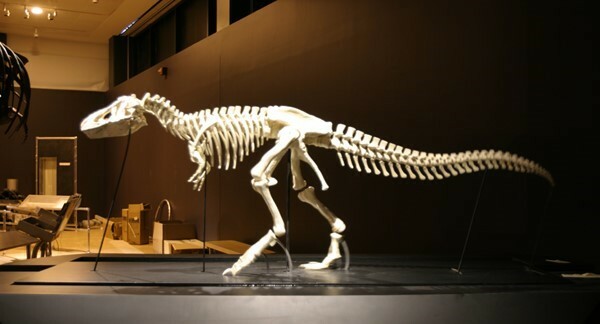 Hall’s studio created the major part of the exhibitry for the newly-built MSC Fossil Halls, including a life restoration of the dinosaurs Acrocanthosaurus (theropod) and Astrodon johnsonii (brachiosaur), in a dramatic interpretation of the Paluxy (Glen Rose) Trackway. The studio also created 8 fossil dinosaur mounts, and supplied graphic elements, animation, and all rockwork & exhibit bases. Hall sculpted dinosaurs and other prehistoric animals, oversaw the animation rigging and detailing, and trained the animators in the physics of dinosaur locomotion. Hall illustrated these two books (author: Don Lessem) by sculpting highly realistic articulated models and digitally compositing them into appropriate scenery. This two-year project included eight months of on-site research in Argentina. Working closely with Dr. Rodolfo Correia, Hall oversaw the fossil restoration and mounting of the 127-foot-long sauropod Argentinosaurus being dogged by the 50-foot-long Giganotosaurus. The studio also mounted 32 skeletal South American pterosaurs for the exhibit, and created the dinosaur animation for the interactive displays depicting a life restoration of the scene. Documentary on recent fossil discoveries. Hall was effects director, lead sculptor, & animation director. Animated sequences, plus design & development of animated characters for 2 seasons of this popular television series starring the Kratt Brothers. Permanent exhibit where patrons see themselves on a large video monitor surrounded by living dinosaurs. Hall’s studio developed the technology and software for this installation, as well as the animated sequences. Hall’s studio created a 75-foot-long life-restoration sculpture of this Chinese sauropod under the direction of Dr. Mark Norell, for an AMNH travelling exhibit produced by Dinosaur Productions. Hall was Art Director, Sculptor, Mechanical Designer, and Motion Programmer of this project, which remains the world’s most sophisticated and complex robotic figure ever created. Hall won a 1999 Design Engineering Gold Award for this project. 5-minute film on what we do and do not know about extinct animals, using Barosaurus as an example. Hall directed, produced and shot the film, and directed the sculpting and animation of the animals. Dr. Lowell Dingus of the AMNH wrote the script. The studio created sculptures and short animated sequences of dinosaurs, pterosaurs, fish and marine reptiles for round monitors throughout the Fossil Halls. Documentary on Tyrannosaurus rex. Hall was Effects Director, lead sculptor & animator. This documentary is often cited by paleontologists as their favourite and best account of the life and times of T. rex. Hall oversaw the creation of nine life-size dinosaur robotic figures for a travelling show produced by this Burbank-based company. 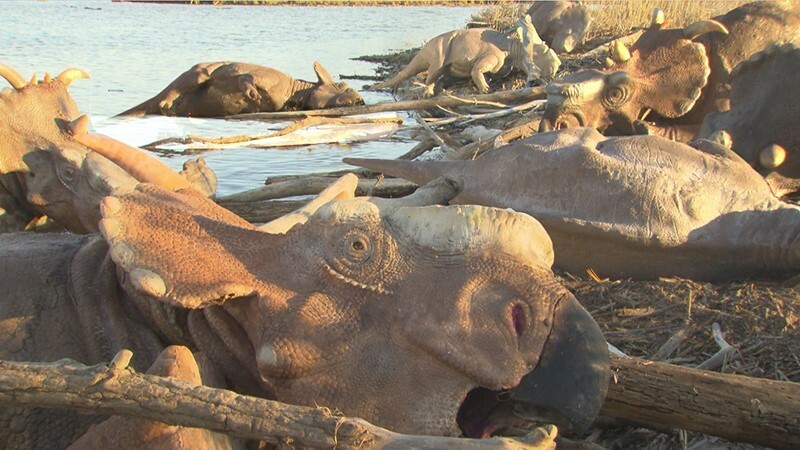 Television documentary on dinosaur migrations. Hall directed the effects, animation, and animal sculptures. Previous to his 25 years of focus on science-themed work, Hall Train worked for eight years as a producer, director, writer, animator, storyboard artist, and cinematographer on television commercials, music videos, television productions, and children’s educational programming. Hall has received 49 international awards for commercials he directed, including 2 Clio Awards (New York), 2 London International Film Awards, Art Directors’ Club Deutschland (Germany) Award, Venice Film Festival Red Lion Award, and 7 Bessie Awards (Canada).